Fishing and other activities may be restricted in other areas of the State under the jurisdiction of other divisions of the Department of Land and Natural Resources and other governmental agencies. 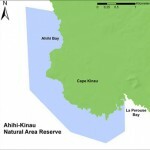 Department of Land and Natural Resources – in addition to the areas above, Waimanu Estuarine Sanctuary, Hawai‘i; Alaka‘i Wilderness Preserve, Kaua‘i; Kanahā Pond Wildlife Sanctuary, Maui; Hawai‘i State Seabird Sanctuary (various statewide islands and islets); Small boat harbor facilities. Department of Transporation – Commercial harbor facilities. U.S. Fish and Wildlife Service – National Wildlife Refuge areas. 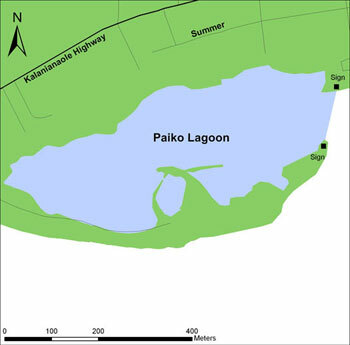 Location The Paikō Lagoon Wildlife Sanctuary includes all of the State owned land areas adjacent to Paikō Lagoon, and water areas within Paikō Lagoon. Prohibited To remove, disturb, injure, kill or possess any form of plant or wildlife (no fishing). To introduce any form of plant or wildlife. Location ‘Āhihi-Kīna‘u shore waters include the waters seaward of Cape Kīna‘u a distance of 2000 to 3000 feet as shown above. Prohibited To remove, injure or kill any form of plant or animal (no fishing). To introduce any form of plant or animal life. 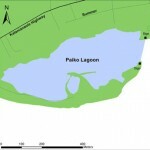 To operate, anchor or moor any motorized vessel.